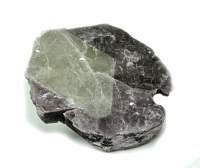 Lepidolite is a crystal of calm, trust, and acceptance. This polished stone has a strong relaxing and calming effect. It brings hope and is a stone of transformation in that it helps one get through transitions with trust that everything will ultimately turn out for the best. It engenders and enhances self-love, patience, and optimism. 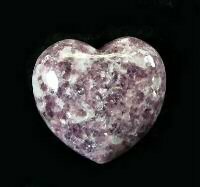 Emotionally, lepidolite is an excellent healer. It greatly decreases stress, anxiety, depression, manic-depression, despondency, PTSD, anger, and other traumas, panic attacks, and addictions. 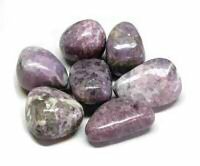 Psychically, lepidolite is used for dream work, rebirthing, and is also good for dream recall. 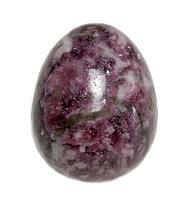 Lepidolite is also a protective stone that brings success in business or career. It can also bring a growing energy to gardening and agriculture. 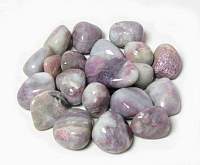 Physically, lepidolite is helpful for healing of glands, immune system, skin, nails, hair, DNA, enzyme balance, addiction and alcoholism recovery, pregnancy, childbirth, and general healing. 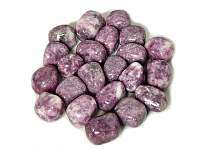 When combined with rubellite - pink tourmaline it is an extraordinarily powerful agent for calming and healing, especially in the emotional areas. Lepidolite harmonizes well with tourmaline, kunzite, petalite, amethyst, scolecite and lemurian crystals. 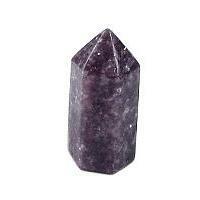 Lepidolite is associated to all chakras and is related primarily to the heart, crown and 3rd eye chakra.